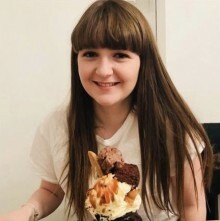 The parents of Emily Pattison, who tragically passed away just days before receiving her GCSE results, are thanking friends and family who attended her funeral and made generous donations amounting to £2,400 for Scott House. 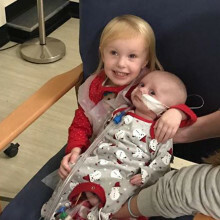 Lorna and Kevin were supported at the 'Home from Home' in Newcastle, which meant they were never more than a few minutes from their daughter's hospital bedside. 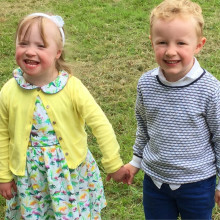 By the time Evie was four years old, she'd already undergone several open heart surgeries. She was due another, but doctors at her local hospital decided it was too risky. Thankfully, a specialist at Freeman Hospital decided that the operation could go ahead. 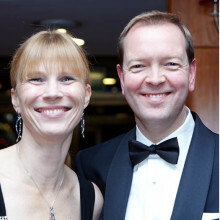 During this time, we supported Evie's parents at Scott House. 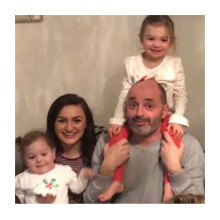 Paul Edwards, from Redcar, was supported when his month old daughter was rushed to Freeman Hospital was she was diagnosed with a heart condition in which her heart beats incredibly fast, suddenly. 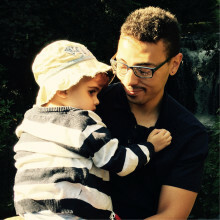 He’s just raised £1,200 for The Sick Children's Trust as thanks for supporting him at Scott House when she was taken ill. Thankfully she is now thriving and inspired him to take on a total warrior! Scott House took away a lot of the anxiety my teenage daughter was feeling and enabled her to relax before her operation. 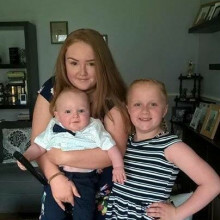 13 year old Darcy Hoffman and her mum, Leanne , stayed with The Sick Children's Trust at Scott House whilst she underwent a life changing procedure at Freeman Hospital. 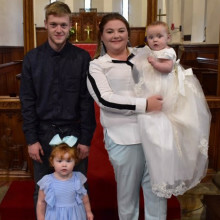 Diagnosed with a heart condition known as cardiac dysrhythmia when she was just three weeks old, meaning she had an abnormal heartbeat, Darcy had needed to take copious amounts of medication to keep her healthy up to this point. 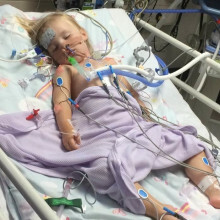 Ella was just 11 months old when her heart began to fail. 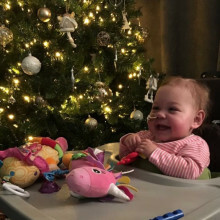 Six months later she underwent her first open heart surgery at Freeman Hospital in the hope that her heart could be repaired, but this wasn’t to be the case. 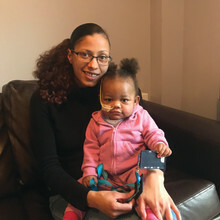 It was decided her only chance of survival would be to have a heart transplant and her family began the agonizing wait. At a time when we were completely lost and didn’t know what to do with ourselves, we were given a place to go. At just a few days old, Amelia underwent major heart surgery after being diagnosed with a aortic narrowing and large hole in the heart. She was then admitted back to Freeman Hospital just before Christmas 2016 where she underwent went open heart surgery. 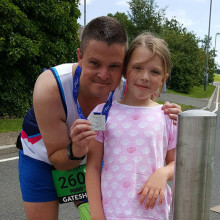 On both occasions we supported her family at Scott House and to say, Dad Paul ran the Great North Run last year, raising £2,000 for us and CHUF. Leeander and Zariah feature in Sunday's BBC Lifeline appeal presented by Michael Crawford CBE. Zariah was diagnosed with heart failure and needed a lifesaving donor heart to survive. Shortly after filming for BBC Lifeline, Leeander received the call she had been waiting for. 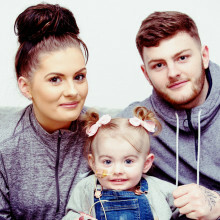 Darcie-May, along with her parents Nathan and Zara, will feature in Sunday's BBC Lifeline appeal to raise awareness and money for The Sick Children's Trust. Because of Scott House we can share every hour of every day together and be a family. 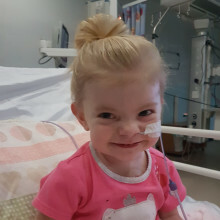 Darcie-May was born with a serious heart condition called hypoplastic left heart syndrome . 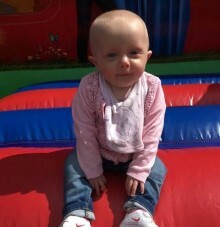 For the first seven months of her life she was treated at Freeman Hospital and during this time we supported her family at Scott House. 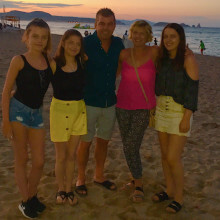 Ellie, was just six weeks old when doctors diagnosed her with a rare congenital heart condition. 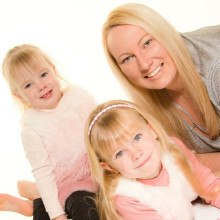 Just two days later, Ellie took a turn for the worse, and was rushed into theatre at Freeman Hospital. Whilst she recovered from the operation her parents stayed at Scott House, along with Ellie’s older sister, Izzy.